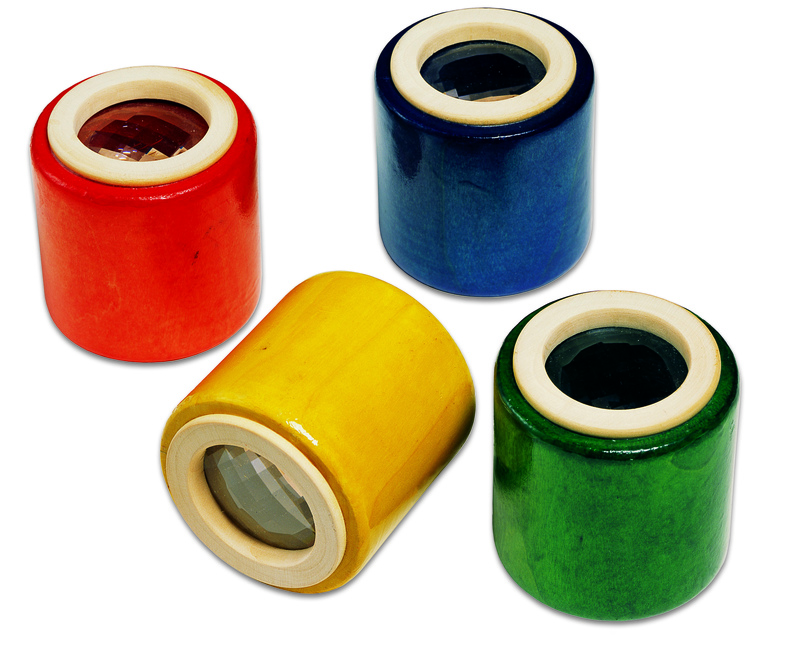 This chunky wooden kaleidoscope has a prism lens that allows you to see multiple images at the same time, just like a bug! Look through the eye-piece and rotate the kaleidoscope to watch the colours and shapes create unique patterns with every spin. 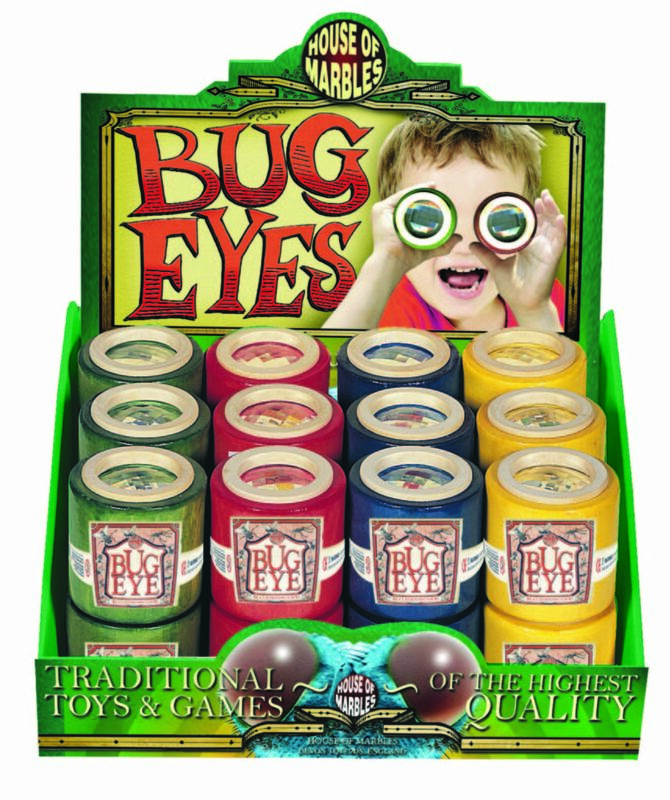 Little explorers can discover the world through the eye of an insect with this classic Bug-Eye Wooden Kaleidoscope from House of Marbles. 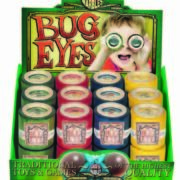 Available in a choice of four attractive colours, this classic optical toy will keep the kids entertained for hours. A perfect pocket money or party bag treat.